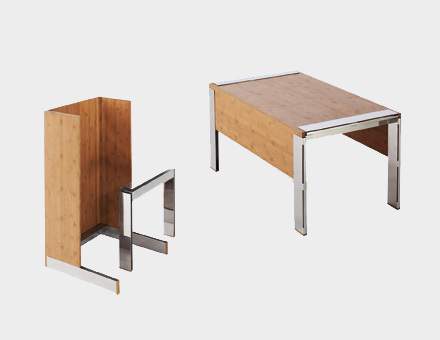 S3 sofa table connects the table legs to the table top without the use of any fasteners. 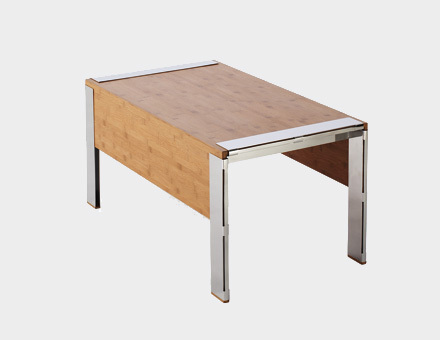 The table top simply press fits into the bent sheet metal leg profiles, making set up and take down extremely easy. 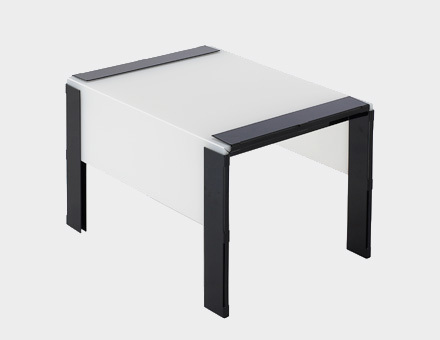 The long sides of the table top give stability and remind of a table cloth draping over the table.